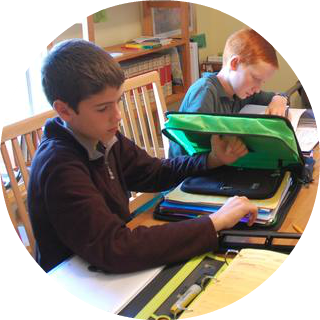 Catholic Montessori education rooted in Catechesis of the Good Shepherd faith formation for ages 12 months to 17 years. Founded in 2003, John XXIII Montessori Center in Front Royal, VA offers multiple programs and sessions for children ages 12 months to 17 years. We facilitate the intellectual and personal growth of the child while fostering a deeper relationship with the Good Shepherd through our programs. 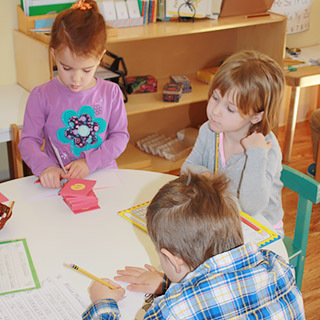 We invite you to learn more about our philosophy of education, vibrant Children’s Center and program offerings by exploring our website and scheduling a visit to meet our staff, children and families who grow and learn as a community. Catechesis of the Good Shepherd Atrium is the Montessori approach to religious formation of children. 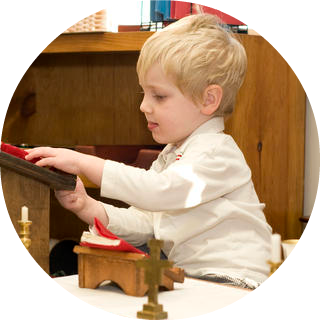 It is rooted in the Bible, the liturgy of the church, and the educational principles of Maria Montessori. This program combines “Atrium plus Academics,” utilizing our innovative Catholic Montessori learning center to educate both Primary children (ages 3-6) and Elementary children (ages 6-12). White Oaks School is an exciting new educational opportunity for students in grades 7-11, combining traditional school subjects with agrarian projects and entrepreneurial ventures. We also offer Catechesis of the Good Shepherd (CGS) formation courses for catechists and parents.